Adam J. Blau, MD, a highly regarded general and robotics surgeon, has joined Tufts Medical Center Community Care. He will continue to serve as co-chair of the robotic surgery program at MelroseWakefield Hospital. Dr. Blau was instrumental in developing the robotic surgery program, along with Matthew Brown, MD, chair of surgery at MelroseWakefield Healthcare. Dr. Blau will continue to provide patients robotic hernia, colorectal, and acid reflux surgery at MelroseWakefield Hospital. In addition, he will provide patients robotic bariatric surgery and other general surgical care. He received his medical degree with distinction from the University of Texas School of Medicine at San Antonio. 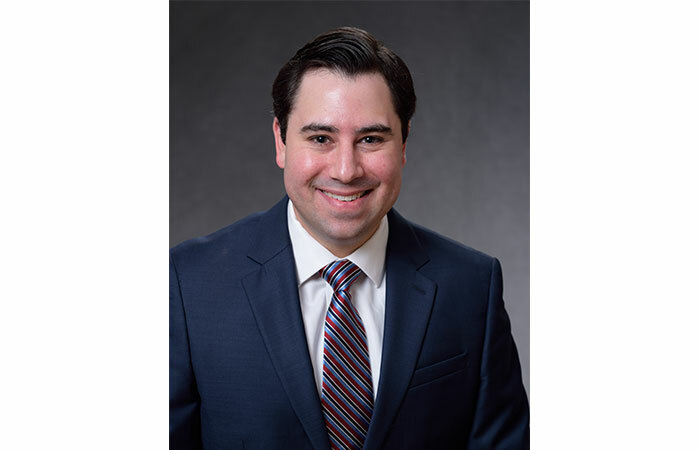 He completed his surgical residency at Tufts Medical Center, where he served as chief resident, and received his fellowship training in robotic and minimally invasive abdominal surgery at Albany Medical Center. His fellowship experience entailed performing several hundred robotic hernia repairs, bariatric (weight loss) operations, acid reflux operations, and diagnostic/therapeutic upper endoscopy. He also obtained certification training in metabolic and bariatric surgery from the American Society of Metabolic and Bariatric Surgery. Dr. Blau is currently scheduling appointments to see patients at his office at 91 Montvale Avenue, Suite 208, Stoneham. For more information or to make an appointment, call 781-620-4984.